Dermal Fillers or “fillers” as they are commonly referred to, are used to smooth lines and add volume to the face and hands. The dermal fillers used at Essence Laser & Wellness are Juvederm, Radiesse, Belotero, and Voluma. Each filler is formulated for a specific area of the face to achieve a desired result. Injectable fillers, also known as the “liquid facelift”, can give you a more youthful look for a fraction of what a traditional facelift costs. With fillers you will achieve a natural looking result that will not affect your facial expressions. Fillers are used for the correction of moderate to severe facial wrinkles and folds, such as nasolabial folds (the creases running from your nose to the corners of your mouth, also known as parentheses or smile lines), as well as the marionette lines (the lines running from the corners of the mouth down to the chin). They can also be used to lift and plump cheeks, fill in hollowed temples; fill out thin lips, plump sagging hands, and fill in the tear troughs (lines below the eyes). The most popular category of fillers is hyaluronic acid, which is a naturally occurring volumizer in the skin. Over time, we lose our natural Hyaluronic acid and so we are simply replacing what we have lost. Hyaluronic acid acts as a cushion to support facial structures and tissues that may have lost volume or elasticity due to normal aging. Hyaluronic acid also attracts and binds water, which helps maintain fullness in the area of injection. Does a doctor do the procedure? Yes, Dr. Melinda O’Rourke administers all of our injectable treatments. She has over 10 years of experience in dermal fillers, starting with collagen injections and evolving with all of the new developments in fillers, including Juvederm, Radiesse, Belotero, and Voluma. Each filler has its own niche and it is a true art to know what filler(s) to use for what, how much, and where. At Essence Laser & Wellness we take every possible precaution to make your experience as painless as possible. 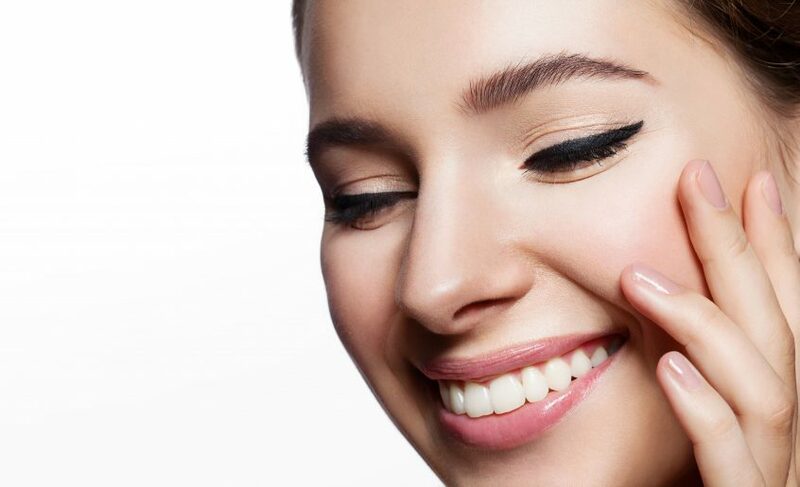 Most fillers are formulated with lidocaine for a more comfortable treatment experience, and if they are not, we add the lidocaine to our filler to customize the injection, and allow for a more comfortable procedure. Essence Laser & Wellness also has a unique topical numbing agent, the very best available, custom made for us in Florida. This is applied to the skin about 20 minutes prior to the procedure for a more comfortable experience. The procedure generally takes less than an hour including time for topical numbing. If it is your first time having a dermal filler treatment please allow extra time for a consultation with Dr. O’Rourke to go over any questions or concerns you may have. Is there any down time associated with the procedure? Immediately after the treatment, you may or may not experience slight redness, swelling, bruising, tenderness or an itching sensation in the treated area. This is a normal result of the injection. The discomfort is temporary and generally disappears in a matter of hours or days. Arnica can be taken before your procedure to help minimize bruising. Discoloration can be covered with make-up. We also recommend discontinuing any non-prescription blood thinners prior to the procedure to minimize bruising, including Aspirin and Ibuprofen (Advil, Aleve), as well as Vitamin E supplements. If you are on prescription blood thinners, please consult with your doctor prior to discontinuing those. There is no limitation on activity following treatment, however we recommend avoiding upside positions (such as yoga), or any facial rubbing (such as facials) immediately after. Due to the potential of swelling and bruising, it is recommended to schedule filler injections at least one to two weeks prior to any special occasion. Since Hyaluronic acid is a naturally occurring substance in the skin, the body naturally metabolizes it over time. Juvederm, Belotero, and Radiesse are FDA approved to last one year, and Voluma, the newest filler, is FDA approved to last 2 years. Every patient metabolizes the filler differently, so it may vary. Some research shows that repeated injections may help stimulate the body’s own natural production of collagen, an added benefit to reduce lines and wrinkles. There is also some evidence that less filler is needed over time to achieve the same look. Botox relaxes the muscles that cause the lines, and is the treatment of choice for lines in the upper face such as frown lines, crows feet, and horizontal lines in the forehead. Filler simply adds volume and fills in the lines, and is the treatment of choice for the lower face, in which the muscles cannot be relaxed as we would be unable to talk or smile. And, of course filler is used for volume loss in the lower face and can be used for deep lines in the upper face when relaxing the muscle with Botox is not enough. Botox and dermal fillers work well in combination to achieve the optimal result. At Essence Laser and Wellness we evaluate each person individually to understand their goals. We are happy to provide a complimentary consultation with our doctor, Melinda C. O’Rourke, M.D. regarding Dermal Fillers. Please call us at 720-583-1826.